If the idea of incorporating exercise equipment into your home is something you (as well as other members of your household) have considered, it may be time to invest in your very own gym equipment. There’s never a clear or definitive sign or signal that someone’s ready to cancel their gym membership. Or that they would enjoy their workouts from the comfort of their own home. There are pro and cons to balance for both. So, to help you decide, we asked the experts for their advice on what to consider before purchasing home gym equipment—and how to go about doing it. Time is money as they say. So, when it comes down to separating and analyzing your time, is any of it wasted at the gym? And, no, we’re not talking about the time you put in to burn fat and build muscle. Rather, we’re talking about the time it takes to drive to and from the facility. Or, the time spent waiting for cardio equipment to become available. If you notice your routine consists of more waiting than action, it may be time for you to consider buying your own home gym. When it comes to pricing, gym fees can range. Some may require monthly payments of roughly $25 and others may reach as high as $250 a month. This means that gym passes sit anywhere from (annually) $300 a year to $3,000. Larger pieces of cardio equipment on their own can reach into the thousands. 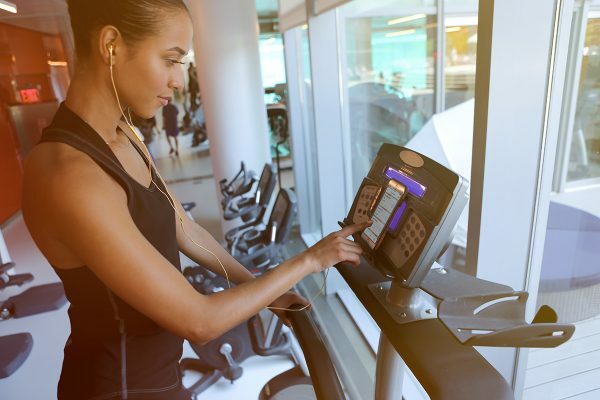 If you’re someone who utilizes many of these machines, it may be best to stick with a classic gym membership. 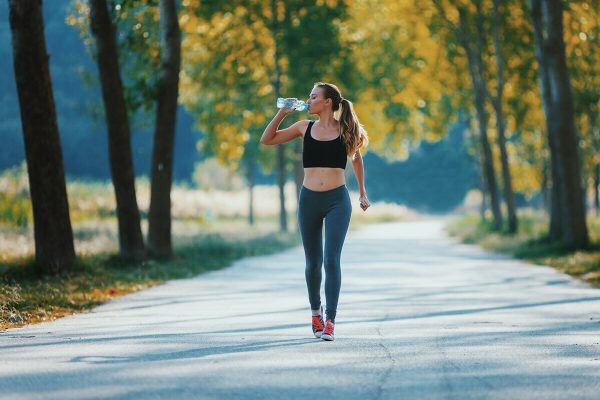 If you’re someone who enjoys running outside, only using one type of cardio machine, and using the gym for strength training and weight resistance, this may be where having a home gym makes more sense, fiscally speaking. Another consideration when thinking of putting a gym in your home is who would be utilizing it. “One advantage of having exercise equipment [in] the home—more than one person in the home can get use out [of] them,” says NASM Certified Personal Trainer and Registered Dietitian Eleana Kaidanian, RD, CDN, CPT-WFS. Create a multi-purpose and mixed-use home gym that will be used by anyone in your home. This may save the overall household money on multiple gym memberships. In addition to saving time and money, there are a myriad of benefits and advantages that come from having your own personalized home gym. Below, we’ve listed some of our experts’ top recommendations on why they believe home gyms are ideal (for the right person). Gyms can harbor a good amount of bacteria and fungi, whether on the physical workout equipment or in the bathroom and showers. In fact, viruses like plantar warts, athlete’s foot, and staph infection can be found on various surfaces throughout the gym. When utilizing your own home gym, you’re less exposed. However, just because it’s a home gym does not mean that it’s free from germs. Germs can still exist and are prevalent in home gyms if you don’t routinely clean equipment. For parents with small children, running out to the gym for an hour or so is not as easy as it looks. While some gyms provide child care, it’s not always guaranteed. If there’s a gym at home, parents can work out in the comfort of their home. They know that their kids are safe and any extra babysitting dollars can be saved for date night. There can be disadvantages to home gyms, too. Some of these negatives can be physical hurdles. But, others can speak to mental limitations, as well. If you’re someone who likes to create separation in your life (for example: not bringing your work home with you), having a home gym might not be the best mental space to workout. Unless you’re well-suited with money and space, it may be difficult to surround yourself with a variety of equipment in your home gym. You can do full body workouts with minimal products. But, if you’re someone who likes to rotate their cardio workouts—some elliptical here, some cycling there—you might want to stick to your regular gym. Another point: let’s say that you’re renting at an apartment complex or own a condo. We’re sure a 25-pound medicine ball slamming on the floor of a fifth-floor walk-up won’t sit well with the neighbors. So, in addition to compromising space, you might be lacking in proper infrastructure suited for a quality workout. Not only can improperly working out stop your progress, but it can be detrimental on your body. We recommend not purchasing equipment for your home gym unless you’re completely well-versed on the product and how to properly use it. “Most beginners can get a great workout in with a small variety of dumbbell weights,” says Genders. “As you get more experienced and stronger within your home gym, an intermediate athlete should purchase heavier weights and may want to progress to a barbell. All levels of exercisers can benefit from kettlebells and suspension straps. They add variety to workouts if space and budget permits,” she adds. 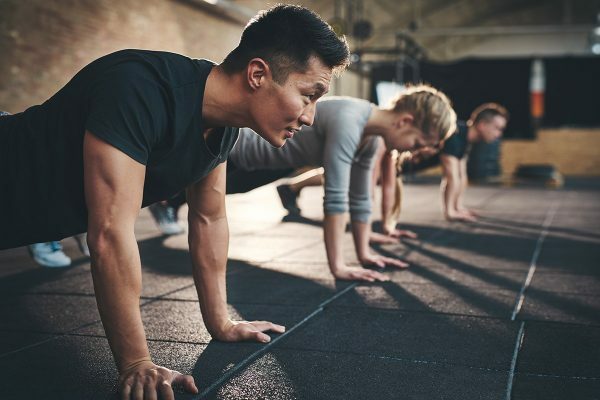 “That being said, a beginner who is simply looking to kickstart a basic fitness program can easily do so with their own two feet. (Walking and jogging are still the best forms of accessible, everyone-can-do-it cardio.) And two pairs of dumbbells—one heavier, one lighter—to perform basic upper and lower body movements like squats, rows, lunges, and presses,” says Dale. Overall, get involved in exercise both in and out of the home for increased physical and mental health. Whichever method you decide is right for you will provide the best (and most comfortable) environment to strengthen and condition your body. So have fun with it!